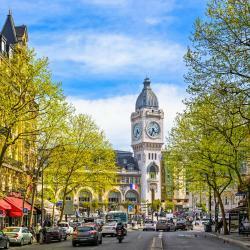 Looking for hotels near Place Monge Metro Station? Located in the heart of the Latin Quarter, in Paris’s lively 5th arrondissement is Select Hotel. Noter Dame Cathedral is 2953 feet away. Loved the stylish decor and wonderful location. Close to metro and restaurants. Located 650 ft from the Luxembourg Gardens, the second largest public park in Paris, Hotel Excelsior Latin features 24-hour front desk and elegant, air-conditioned rooms and suites. Large room and bathroom for family of 4 in older building. Friendly staff. Located in the Parisian Latin Quarter, Hotel Abbatial offers ensuite accommodations. 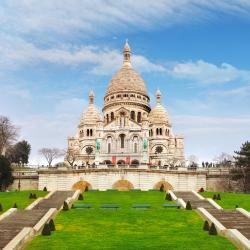 It is just 1640 feet from the Noter Dame Cathedral and is close to Ile Saint Louis. Location Location!! Perfect for exploring Paris. Very comfortable, clean room. Hotel Agora Saint-Germain is located in the heart of Paris, between Noter-Dame Cathedral and the Pantheon. It offers air-conditioned and soundproofed rooms with free WiFi access. Five minutes from Notre Dame... check! Great breakfast...check! Wonderful, helpful staff... check! Located close to the Latin Quarter, famous for its bustling student life, the hotel offers cozy accommodations in one of the liveliest areas of Paris. The hotel was in a great location and had a cute little breakfast room. 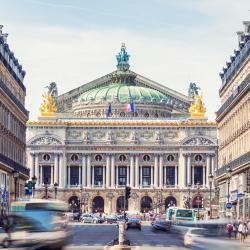 Set in a characteristic Haussmanian building within a stone’s throw of the lively Rue Mouffetard, Best Western Plus La Demeure is 1476 feet from Jardins des Plantes and the Natural History Museum. The front desk staff gave us a courteous welcome. 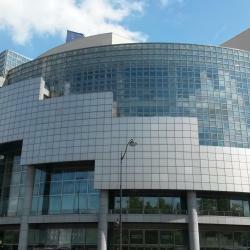 Hotels with great access to Place Monge Metro Station! In the heart of the Latin Quarter, Hôtel Les Dames du Panthéon is in an 18th-century building across from the Panthéon. It features elegant guest rooms with free Wi-Fi and a minibar. Have stayed here many times, a fabulous hotel. Highly recommended. Hôtel Du Jeu De Paume is located on the famous Ile Saint-Louis, a 5-minute walk from Noter Dame Cathedral. This is an absolutely beautiful hotel located in a great location!